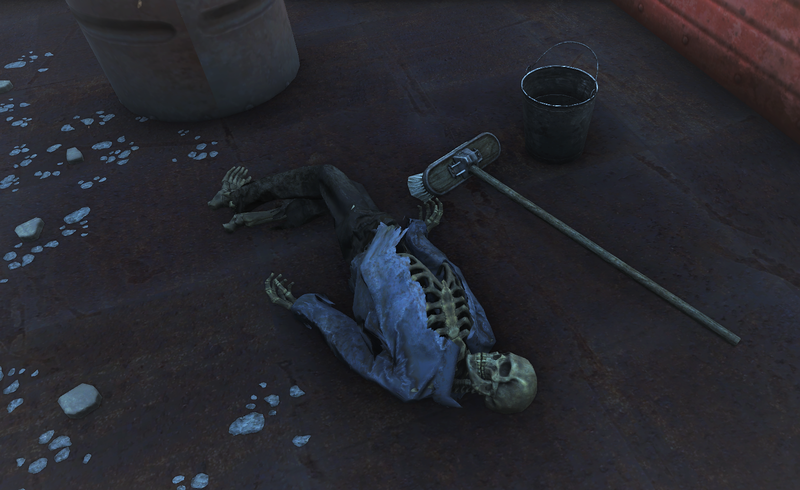 Home » Games » Fallout 4 » You ever been so bored at work you just died? The feeling of passing of time is relative. This guy was responsible for the lobby, and the lobby only. Not much to do there. His daily workload was done in about 30 minutes. The rest of the day consisted of standing almost lifeless behind the stairs. Waiting to one day win the lottery, in which he had yet to turn in the numbers for. 2 Comments on You ever been so bored at work you just died? I’ve come close a few times. Never actually had it happen tho. Rest in peace Mr. janitor.